The Confederation of African Football (CAF) has chose to take over the indemnities of referees for its competitions with immediate effect. The decision was taken at CAF's executive committee meeting in Casablanca on Wednesday. Previously, CAF's rules stablished that host associations should be in charge of covering the refs' payment. The resolution comes ten months after Ghanaian referee Joseph Lamptey was banned for life by Federation Internationale de Football Association for match fixing. 1- Effective 2018, indemnities of referees designated for CAF matches, will be paid directly by CAF. Africa's football governing has thus effectively scrapped the system of host countries and their national associations footing the officiating fees, reducing the possibility of host sides influencing match officials under the guise of paying indemnities. 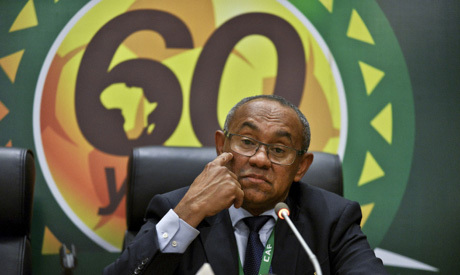 The historic decision is a materialization of a campaign promise by the CAF President, which is expected to reduce the financial burden on national associations and also eliminates an ethical challenge. This is the second time in a month that CAF takes action in order to minimize corruption in refereeing. It is also expected to removes the suspicion perceived between national associations and the referees. This year's continental club competitions will be the last to run from February through November, with the Champions League final set to take place over 2-4 and 9-11 November, and the Confederation Cup final set for 23-25 November and 30 November-2 December. 5- As part of preparations for Total CHAN Ethiopia 2020, a CAF inspection team will conduct an inspection in the country during the first quarter of 2018.